Florence Nightingale was born on May 12, 1820 AD in Florence, Italy. She was the younger of two children. From a very young age, she was interested in philanthropy, ministering to the ill and poor people in the village neighboring her family’s estate. By the time she was 16 years old, it was clear to her that nursing was her calling. She believed it to be her divine purpose. When Nightingale approached her parents and told them about her ambitions to become a nurse, they were not satisfied with her interest. In fact, her parents forbade her to pursue nursing. Determined to pursue her true calling despite her parents' objections, in 1844, Nightingale enrolled as a nursing student at the Lutheran Hospital of Pastor Fliedner in Kaiserswerth, Germany. In October of 1853, the Crimean War broke out. By 1854, no fewer than 18,000 soldiers had been admitted to military hospitals. At the time, there were no female nurses stationed at hospitals in the Crimean. On 21 October 1854, she and the staff of 38 women volunteer nurses that she trained, including her aunt Mai Smith, and fifteen Catholic nuns were sent (under the authorization of Sidney Herbert) to the Ottoman Empire. The hospital was very unhygienic and dirty due to which injured soldiers were dying. Florence and her group cleaned the hospital. Nightingale herself spent every waking minute caring for the soldiers. In the evenings, she moved through the dark hallways carrying a lamp while making her rounds, ministering to the patient after patient. The soldiers, who were both moved and comforted by her endless supply of compassion, took to calling her "the Lady with the Lamp." Others simply called her "the Angel of the Crimea". Her work reduced the hospital’s death rate by two-thirds. After returning from Crimea, she wrote ‘Notes on Matters Affecting the Health, Efficiency and Hospital Administration of the British Army’, analyzing her experience and proposing reforms for other military hospitals operating under poor conditions based on her observations. She also established Scutari Hospital. She died on August 13, 1910 AD at her home in London. Mohandas Karamchand Gandhi, more commonly known as Mahatma Gandhi, was born on October 2, 1869 in Porbandar, Gujrat, in North West India. He was born into a privileged caste family. He was the last child of his father (Karamchand Gandhi) and his father's fourth wife (Putlibai). His father was the Chief Minister of Porbandar. During his youth, Mohandas Gandhi was shy, soft-spoken, and only a mediocre student at school. He studied law in London, England, but he went to South Africa in 1893 and he spent 20 years there opposing discriminatory legislation against Indians. He became one of the major political and spiritual leaders of his time as a pioneer of Satyagraha. Satyagraha remains one of the most potent philosophies in freedom struggles throughout the world today. In 1914, Gandhi returned to India, where he supported the Home Rule movement and became the leader of the Indian National Congress, advocating a policy of non-violent to achieve independence. His goal was to help poor farmers and laborers protest oppressive taxation and discrimination. He struggled to alleviate poverty, liberate women and put an end to caste discrimination, with the ultimate objective being self-rule for India. Following his civil disobedience campaign, he was jailed for conspiracy (1922-24). He attended the London Round Table Conference on Indian constitutional reform on his release from prison in 1931. He negotiated with the Cabinet Mission which recommended the new constitutional structure in 1946. After independence in 1947, he tried to stop the Hindu-Muslim conflict in Bengal, a policy which led to his assassination in Delhi by Nathuram Godse, a Hindu fanatic. He was a person who proposed the view of “simple living high thinking”. He used to wear clothes as other citizens of the country. He thought that all citizens should wear the clothes made in their own country so for that he started Charkha Movement. He believed that development is possible only if we utilize the available resources of our own country. Although Gandhi was nominated for the Nobel Peace Prize five times, he never received it. In the year of his death in 1948, the Prize was not awarded, the stated reason being that “there was no suitable living candidate” that year. Indians generally depict Gandhi as the Father of the Nation. His birthday, 2 October, is commemorated Gandhi Jayanti and worldwide as the International Day of Non-violence. Florence Nightingale was born on May 12, 1820 AD in Florence, Italy. Florence Nightingale died on August 13, 1910 AD in London. Mohandas Karamchand Gandhi, more commonly known as Mahatma Gandhi, was born on October 2, 1869, in Porbandar, Gujrat, in North West India. Mahatma Gandhi was a person who proposed the view of “simple living high thinking”. Although Gandhi was nominated for the Nobel Peace Prize five times, he never received it. Indians generally depict Gandhi as the Father of the Nation. Why is Florence Nightingale is also known as "Lady with the Lamp"? Florence Nightingale, herself, spent every waking minute caring for the soldiers. 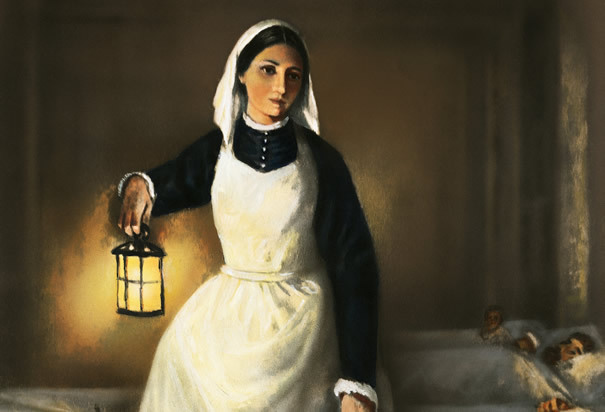 In the evenings, she moved through the dark hallways carrying a lamp while making her rounds, ministering to the patient after patient.So, she is also known as the "Lady with the Lamp". When was Florence Nightingale born? Florence Nightingale was born at ______. When did Crimean War broke out? Florence Nightingale died on _____. Mahatma Gandhi was born on ______. 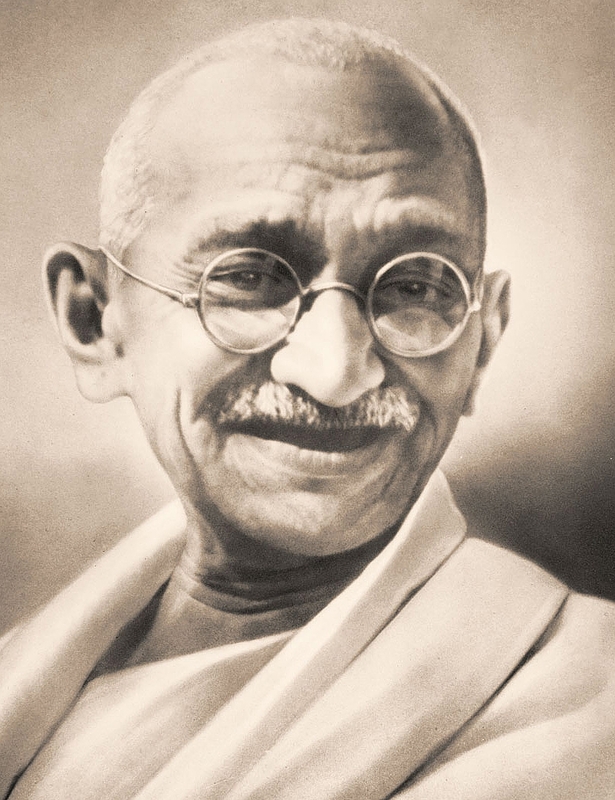 The father's name of Mahatma Gandhi is ______. Any Questions on 'International Personalities '?